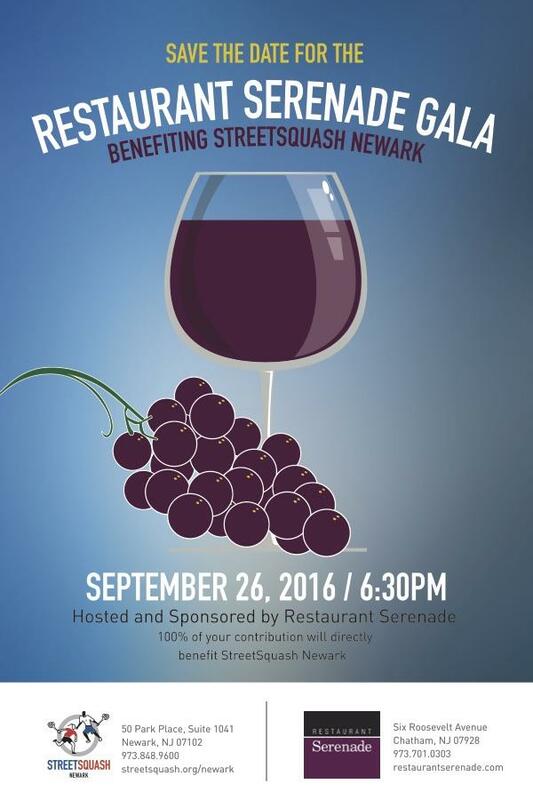 Chef James and Nancy Laird invite you to one of New Jersey's Top 25 restaurants for the Restaurant Serenade Gala, an evening hosted and sponsored by Restaurant Serenade to benefit StreetSquash Newark. Experience the locally sourced vegetables, naturally raised meats, exceedingly fresh fish, freshly baked bread, and the in-house from-scratch desserts all prepared by Chef Laird and his team. Founded in 2012, StreetSquash Newark offers long-term intensive support to public school students in New Jersey. StreetSquash combines intensive academic support with squash instruction, fitness and nutrition, one-on-one mentoring, service learning, college access and preparation, and professional development for young people from adolescence through college graduation.